Great interview mc. Dan John is a fantastic guy. Don't Let GO is an inspirational read. Why thank you Chris. It's nice to chat with nice, sane, smart folks, eh? kinda restores faith a wee bit. Holy Crap, I got mentioned in a Dan John interview. And he didn't even say I sucked ... SWEET! 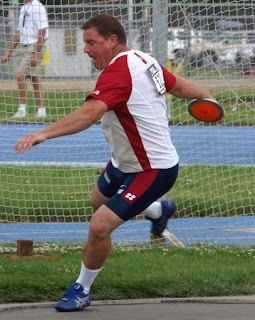 "The one great lesson that lifters can learn from throwers: you should thrive in submaximal ranges." I've been working on this a lot and a few of my friends have suggested I'm wasting my time and should just stick with heavy. That was great, mc. Thanks so much. Never let Go is one of my favorite books about training, and, in fact, in general.Coach dan is like E.F. Hutton in the old commercial, when he talks, people listen. steve, thanks for dropping by.